Fisherman can look forward to comfortable, homelike lodging within minutes of first class trout streams, along with professional assistance. Please talk to Steve for local stream conditions. Riffles and Runs B & B is well located to access some of the most famous and productive trout streams in the eastern United States. Spring Creek is less than five minutes away; adding another five minutes puts you at Bald Eagle Creek. If you want to go farther afield, Fishing Creek (limestone) is 30 minutes' drive, while Penn's Creek and the Little Juniata River are 45 minutes away. There is enough water on these streams to keep an angler occupied for a lifetime. It should be noted that Riffles and Runs B and B is not only conveniently located for Spring and Bald Eagle Creeks, it is close to the best reaches of those streams. Streams in the area offer good fishing all year long. Best times to fish, however, change with the season. Winter fishing is usually best in the afternoon, spring and fall fishing can be good at any point during the day, with morning/evening peaks of activity. As you would expect, summer fishing is best early in the morning. A good general rule of thumb when choosing fishing times is to select the time of day that, for the season, is most comfortable for you. Do not be put off by high water. 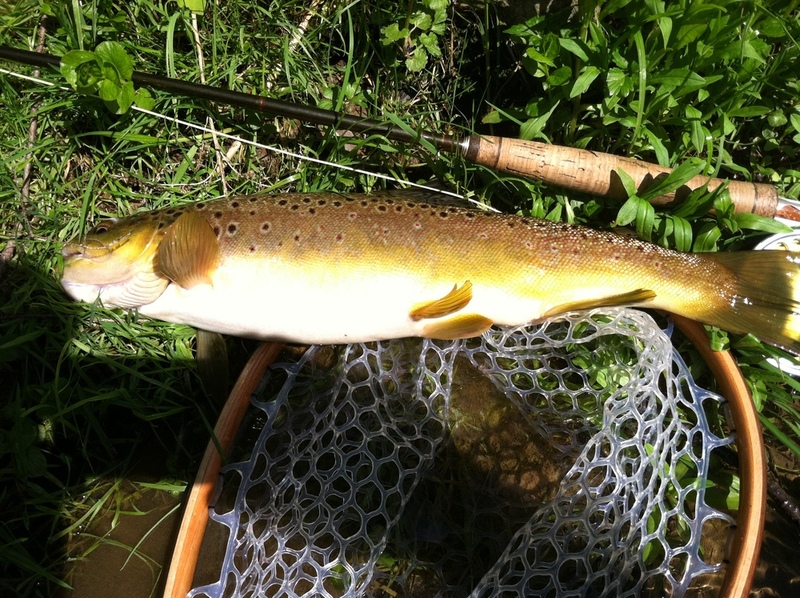 Larger streams all offer excellent fishing during high water periods, and anglers who can fish under these conditions can really rack up a score. That said, anglers should be ready with a "Plan B" in the event of very high and/or muddy water. Some smaller freestone streams are located near Riffles and Runs B and B. The closest is Wallace Run, a small mountain stream accessed by Route 144 at Wingate. Larger mountain streams with better casting opportunities can be found at Black Moshannon Creek and Six Mile Run. Both of these streams are accessed by route 504. Black Moshannon Creek has a delayed harvest area, but gets warm in the summer. Six Mile Run has excellent water quality all year. You can expect to encounter all major eastern mayfly hatches on area streams, although not all hatches exist on each stream. There is also a wide variety of caddis stoneflies, and midges. Terrestrial fishing can be excellent in summer and fall. Appropriate dry and nymph patterns produce well. Streamer fishing, too, has its devotees. 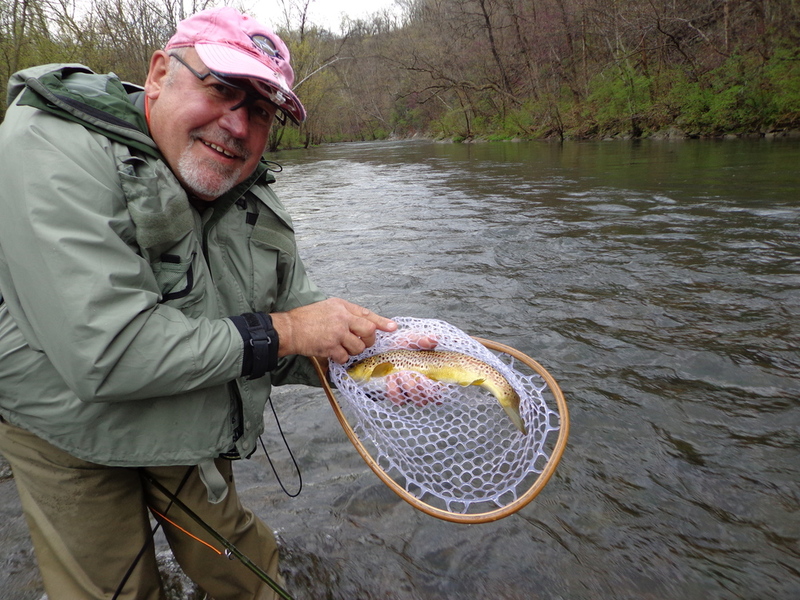 Wet fly fishing has fallen our of favor, but those who can work wets well score good catches. Nymph fishing is the most productive method throughout the year. 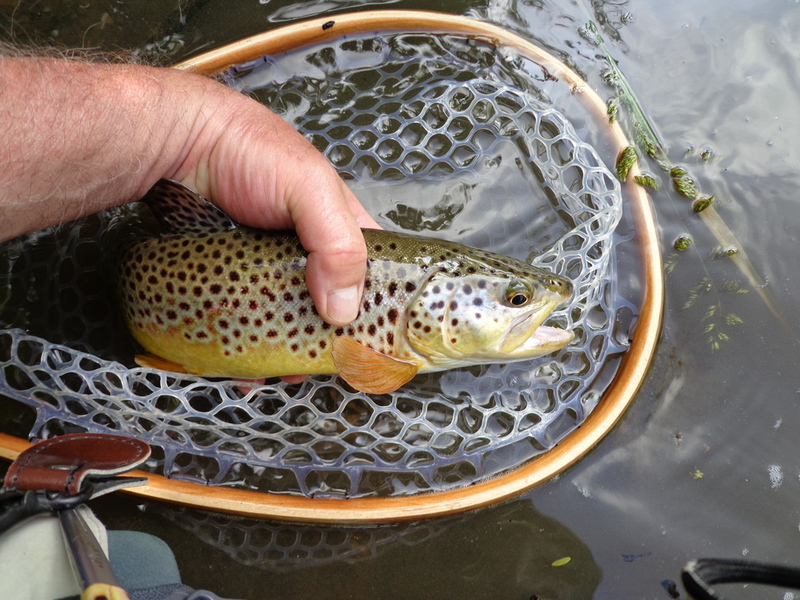 "Bellefonte proudly claims to be Central Pennsylvania's "Victorian Secret" with it's charming homes in a modern world, but it is no secret to anglers that is also holds a charm all its own when it comes to fly fishing. Nestled in the Nittany Valley of Centre County, Bellefonte is home to some of the premier fly- fishing waters in Pennsylvania. The members of PaFlyFish.come have selected Bellefonte, Pennsylvania as the Best Fly Fishing town in Pennsylvania in 2009. Anglers enjoy the world class fly-fishing waters of Spring creek the meanders through the town. Other prominent streams such as Penns Creek, Fishing Creek, Spruce Creek and Little Juniata River are all in close proximity too. the mountain fed and limestone streams provide cool productive waters through the years that are a delight to fly-fishing enthusiasts..."